When experiencing a period of poor mental health, sometimes managing a home can become overwhelming, especially when under severe financial pressure. Mind in Salford’s welfare rights and debt advice team work regularly with individuals who are experiencing problems with money and mental health, helping them to manage debt, understand their welfare rights and explore avenues to help ease financial strain. Advice team member, Lisa, recently started working with a struggling client, Gemma, who was at risk of having her three young children removed by social services due to an excessive hoarding habit – a common symptom of many mental health problems such as OCD and depression. Wanting to make a settled life for her and her children following a period in an abusive relationship, but with no money to begin clearing the house, Gemma found her situation worsening. An enduring period of depression and anxiety was further exacerbated when she received a sanction on her Universal Credit allowance, which came after her mental health condition forced her to cancel a meeting with a work coach at her local Jobcentre Plus. Things started to look up when social services agreed to provide Gemma with a skip, so that she could start the process of clearing her home – a vitally important step towards regaining some stability and keeping her children. Unfortunately, the offer was withdrawn, and with no support from her landlords (a well-known local housing association) the prospect of resolving her problem seemed increasingly unlikely. Typically, registered council providers such as housing associations have a duty to cooperate on matters of tenant safeguarding (such as support for with mental health problems) yet the association did not provide a skip as allegedly they deemed Gemma’s situation to be self-inflicted. Lisa reached out to Worsley-based company, Kenny Waste Management, who after hearing Gemma’s story kindly agreed to provide a skip free of charge. Subsequently, her friends and neighbours helped her clear her home, thereby kick-starting the process of overcoming her hoarding, providing a safe home for her children and regaining control of her life. What’s more, United Utilities Trust Fund cleared the water bill of over £3,000 that Gemma had accrued when she was without her Universal Credit entitlement, and replaced her cooker through their white goods grant. We would like to say a big thank you to Kenny Waste Management Ltd, for making this incredible gesture of good will by donating their time and resources to help our client, and also to United Utilities Trust Fund for allowing Gemma the debt relief she so desperately needed. “It’s great that organisations and local businesses can come together to assist local people in need.” – Lisa White, Advice Team, Mind in Salford. We are pleased that with the help of our advice service, Gemma has restored some stability to her life and can begin planning for her and her children’s future. However, stories like Gemma’s are all too common, and highlight the need for improved mental health support for social housing tenants. 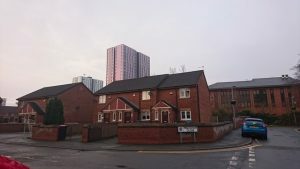 We are therefore calling on housing associations in the Salford area to demonstrate their commitment to supporting tenant mental wellbeing, and ensure that staff know how and where to signpost and individual should they be struggling. 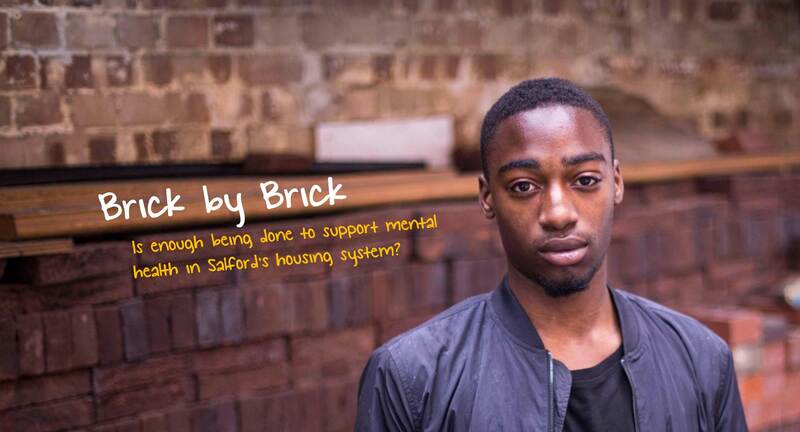 If you would like to find out more about some the housing an welfare issues raised in Gemma’s story, view our Brick by Brick Campaign page, where you can read our analysis and find out how to get involved. This entry was posted on Tuesday, July 10th, 2018 at 3:09 pm	and is filed under Advice, Blog, News. You can follow any responses to this entry through the RSS 2.0 feed. Both comments and pings are currently closed.